Two-time Juno award-winning Canadian Americana singer-songwriter Jenny Whiteley returns with an all new album, The Original Jenny Whiteley, due September 16th. The ten songs in the collection pay homage to Jenny’s musical heritage and range from folk and blues to bluegrass, jug band, and early jazz and include traditional songs mixed with originals that are filled with roots instrumentation including banjo, guitar, harmonica, fiddle, and jaw harp..
Jenny learned some of the tunes on The Original Jenny Whiteley directly from performing with her dad and uncle (in The Original Sloth Band and the Junior Jug Band), such as “Stealin’ Stealin’”, “Morning Blues” and “Things Are Coming My Way” (featuring Chris and Ken Whiteley on vocals). The album also showcases other traditional songs Jenny has added to her repertoire over the years, including “Oxford Town”, “In the Pines” and “Groundhog”. In addition, there are new songs Jenny brings in response to the tradition they work in: "$100" by Chris Coole is a valentine to the working musician; “Malade” is Jenny's take on an American-style jug band song (performed in French), while “Banjo Girl” (co-written by her husband Joey Wright) and “Higher Learning” are odes to Jenny’s old-time and jazz heroes. The sessions were all recorded at Hugh Christopher Brown's Wolfe Island Post Office Studio, with producer-musician Sam Allison and Teillard Frost (Sheesham and Lotus). "It was the most natural, organic, live recording I've ever been part of," Whiteley recalls. "The boys were full of ideas and great energy...we just picked and sang into the wee hours until we got it right." 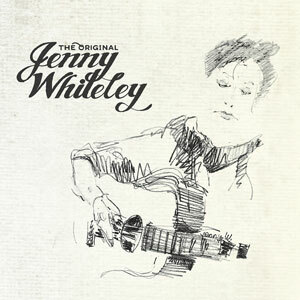 The Original Jenny Whiteley is a celebration of Jenny's roots and ongoing journey in music, with a tip of the hat to her musical family and friends who've traveled alongside. The Daily Country is proud to premiere The Original Jenny Whiteley for you to stream in its entirety below.